So I have a 1968 raider 12 wheel horse tractor has a brand new battery has been running great now all of a sudden my battery seems dead Everytime I got to start it I have to put it on the charger then it will start and run great what could be causing my battery to drain? 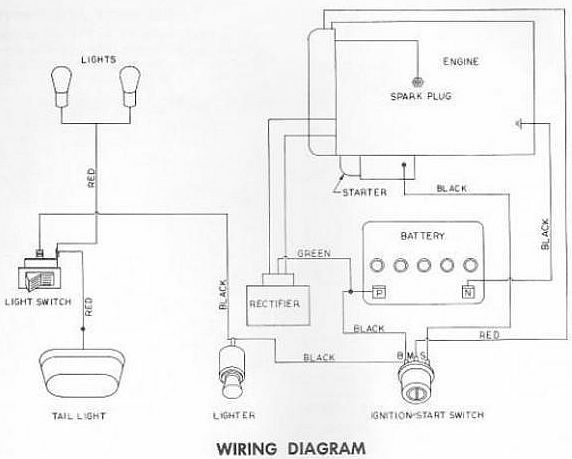 Depending on how the machine is wired the likely causes are the ignition switch or the Rectifier/Regulator. does it charge when running? If the voltage running is not higher than battery at rest, it's likely them RR. Could be that even if it charges, but more likely if not. A meter in series between the battery post and ground will tell you if it is a parasitic drain. Repeat between the Reg's + lead and ground, then ignition switch and ground to isolate. Dimming lights may indicate that it's not charging. YOu really need to check the voltage, at rest and running. Does that Raider 12 have a starter/generator on the engine? Conductive corrosion and debris in the ignition switch is a common cause of battery draining as is a failed rectifier/voltage regulator.